Mike Napoli (2001-02), Mike Trout (2009-10) and Mark Trumbo (2006-07) bring CR Alumni MLB All Star selections to 85. Major League Baseball released the rosters for the 83rd annual MLB All-Star game today. 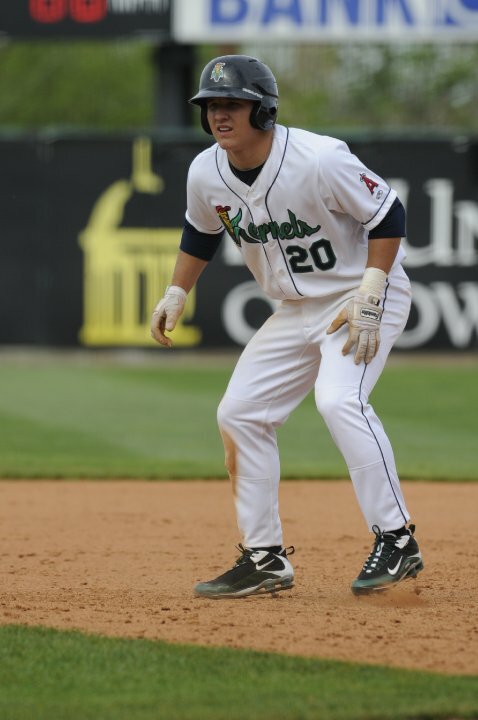 Cedar Rapids Kernels alumni Mike Napoli (2001-02), Mike Trout (2009-10) and Mark Trumbo (2001-02) have been selected to the American League squad with Napoli getting the start behind the plate. The trio of Kernels alum bring the total number of MLB All-Star selections made by Cedar Rapids professi0nal baseball alumni to 85. 33 different Cedar Rapids professional baseball alumni have been selected to the All-Star game rosters. This is the fifth time there has been three Cedar Rapids professional baseball alumni players selected to the same All-Star game (2012, 2007, 1991, 1984 and 1966). We have never had more than three appear in the same season. 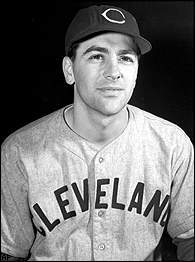 Lou Boudreau was our first All-Star and made six straight All-Star teams between 1940-45, the longest such streak by a Cedar Rapids professional baseball alumni. Lou Boudreau (Cedar Rapids Raiders -1938) and Ted Simmons (Cedar Rapids Cardinals – 1967) lead the way with eight selections each. 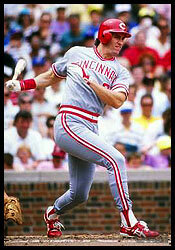 Trevor Hoffman (Cedar Rapids Reds – 1991) earned seven All-Star selections, Rocky Colavito (Cedar Rapids Indians – 1952) and Allie Reynolds (1940-41) made six appearances, Paul O’Neill (Cedar Rapids Reds – 1982) was selected five times and John Roseboro (Cedar Rapids Raiders – 1955) made four appearances at the mid season classic. Here is the full list of Cedar Rapids professional baseball alumni who have been selected to the All-Star game rosters. The year following their name designates their season or seasons they played in Cedar Rapids. Jean Segura (2010) has been selected to represent the Angels in the 14th annual Futures Game. 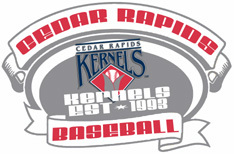 There have been 17 different Cedar Rapids Kernels alumni who have been selected to the Futures Game roster. 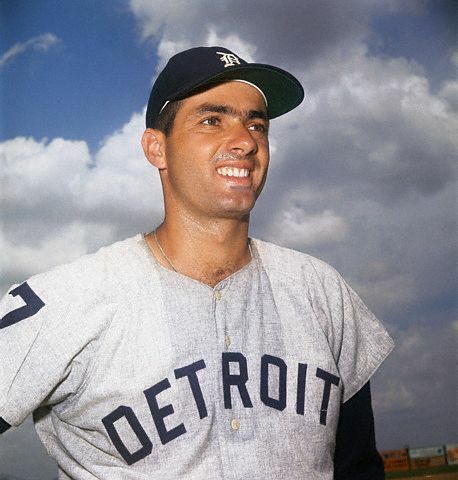 Three players were selected twice (Ramon Ortiz, Jeff Mathis and Mike Trout). 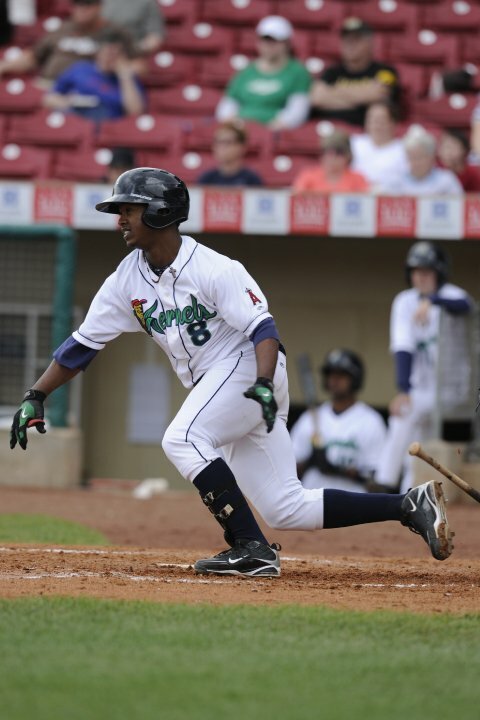 Jean Segura hit .313 with 24 doubles, 12 triples, 10 HR, 79 RBI and stole 50 bases in 130 games during the 2010 season for the Kernels. Cedar Rapids finished the season with a 82-56 record under manager Bill Mosiello. The Kernels lost to Clinton in the first round of the Midwest League Playoffs. 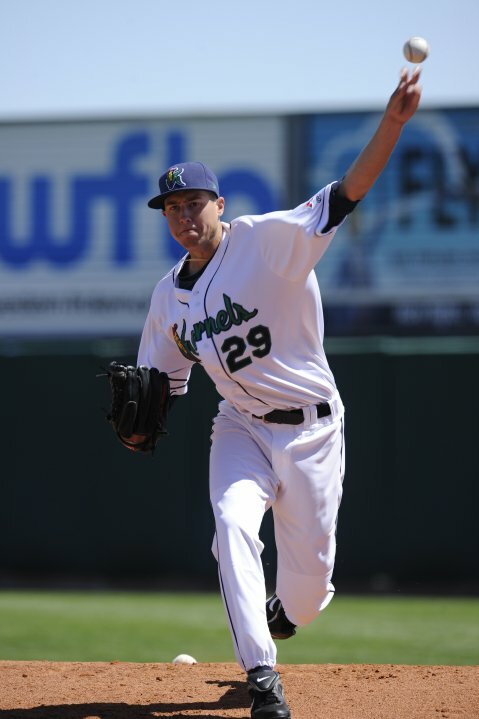 Segura was selected to play in the Midwest League All-Star game. Jean Segura hit .293 with 12 doubles, 4 HR, 26 RBI and stole 18 bases playing for the Tempe Angels and the Inland Empire 66ers in 2011. Segura is hitting .291 with 5 HR, 31 RBI and has stolen 27 bases in 70 games for the Arkansas Travelers in 2012. On October 26, 2005, Bobby Jenks (Cedar Rapids Kernels– 2001) worked the ninth inning to earn the save as the Chicago White Sox defeated the Hoston Astros 1-0 in game four of the 2005 World Series at Minute Maid Park finishing the sweep and taking the title. 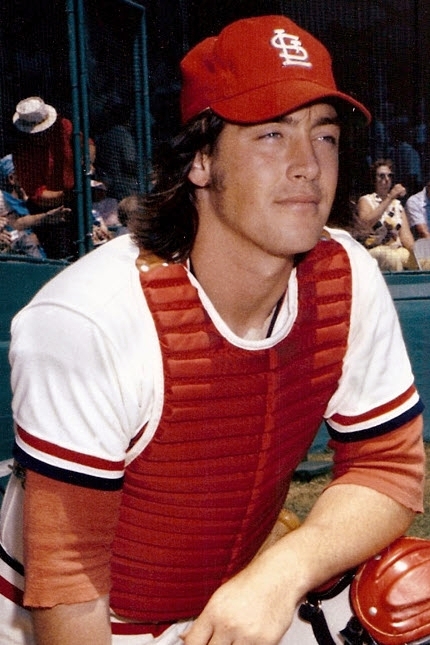 Jenks pitched in all four games of the series earning a save in game one as well. Bobby Jenks has posted a 16-20 record with 173 saves and a 3.53 ERA thus far during his seven season MLB career playing for the White Sox and Red Sox. 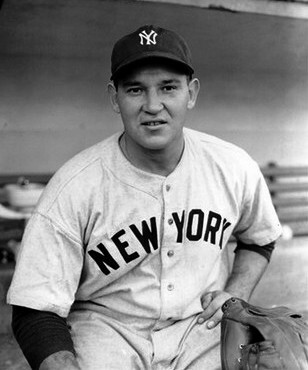 In 2007, Jenks set an American League record and tied the Major League record by retiring 41 consecutive batters he faced. Jenks was perfect for 14 appearances over 27 days. Jenks’ teammate Mark Buehrle broke the record two years later retiring 45 straight batters. 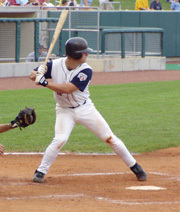 Bobby Jenks started 21 games for the 2001 Cedar Rapids Kernels. Jenks went 3-7 with a 5.27 E.R.A while striking out 98 in 99 innings of work. The Kernels finished 60-77 under manager Tyrone Boykin. 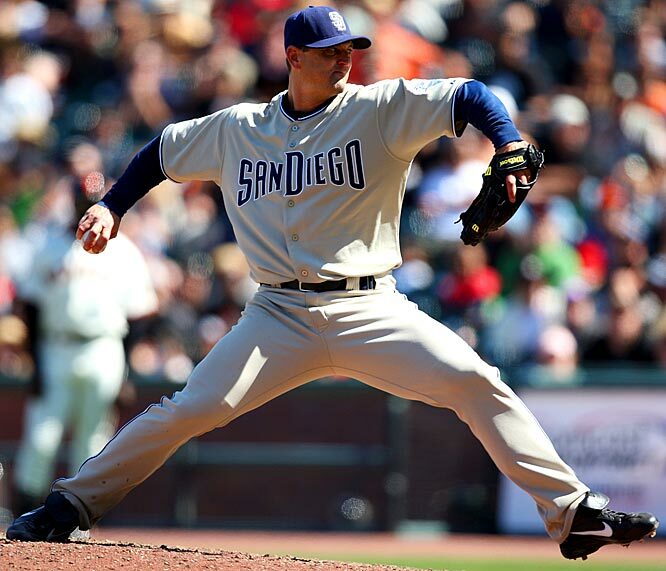 Tyler Skaggs (2010) has been selected to be the starting pitcher for the U.S. team at the 13th annual XM All-Star Futures Game that will start tonight at Arizona’s Chase Field at 5 p.m. CST. Skaggs went 8-4 with a 3.61 ERA while striking out 82 in 82 1/3 innings of work prior to being traded to the Arizona Diamondbacks as part of the Dan Haren deal. Skaggs is the 16th different former Kernels player to be selected to play in the Futures Game. Mike Trout (2009-10) was also selected to play for the U.S. team but was promoted to join the Angels this past week leading up to the All-Star break. Trout would have joined Ramon Ortiz (1997) and Jeff Mathis (2002) as former Kernels who made multiple appearances at the Futures Game. Hank Conger (2007) hit his third HR of the season in the Angels 6-5 comeback win over the Rays. Mark Trumbo (2006-07) went 2-4 with a double, Alberto Callaspo (2003) was 1-4 with a RBI, Howard Kendrick (2004) went 0-2 with a pair of walks, stole a base and scored a run, Erick Aybar (2003) was 0-4 with a walk and scored a run and Peter Bourjos (2007) went 0-3 with a walk and scored a run in the victory. Tyler Chatwood (2009) struck out three while allowing five runs in four innings for a no-decision. Rich Thompson (2003) struck out three in a scoreless seventh inning to earn the win. Jordan Walden (2008) worked a scoreless ninth inning for his fifth save of the season. Casey Kotchman (2002) went 1-4 with a RBI and scored a run in the Ray 6-5 loss to the Angels. Joel Peralta (2001-02) took the loss allowing one run in the eighth inning. Bobby Jenks (2001) walked three and allowed one run in 1/3 of an inning of work in the Red Sox 3-2 win over the Mariners. Alexi Casilla (2004-05) went 2-3 with a pair of triples, a RBI, a walk and scored a run in the Twins 10-3 loss to the Royals. Mike Napoli (2001-02) was 0-4 in the Rangers 7-2 loss to the Athletics. Brandon Wood (2004) went 1-2 in the Pirates 8-4 win over the Rockies. Erick Aybar (2003) went 2-4, stole a base and scored a run in the Angels 4-3 loss to the Red Sox. Jeff Mathis (2002) was 1-3 with a RBI, Howard Kendrick (2004) went 1-4 with a double, a walk and scored a run, Peter Bourjos (2007) was 1-5 with a double and Hank Conger went 1-1 pinch hitting. Alberto Callaspo (2003) was 0-2 with a pair of walks, Mark Trumbo (2006-07) went 0-3 and Bobby Wilson entered the game as a defensive replacement. Trevor Bell (2007-08) made his 2011 debut with two scoreless innings of relief in the Angels loss. Bobby Jenks (2001) picked up his second hold of the year allowing two runs in the eighth inning of the Red Sox 4-3 win over the Angels. Mike Napoli (2001-02) hit his fourth HR of the season and went 1-2 with two RBI and a pair of walks in the Rangers 11-6 win over the Royals. Sean Rodriguez (2004-05) went 0-2 with a pair of walks in the Rays 6-4 loss to the Blue Jays in extra innings. Joel Peralta (2001-02) took his first blown save of the year allowing one run in an inning of work in the loss. Joe Saunders (2002) worked six strong innings in a no-decision as the Diamondbacks fell to the Mets 4-1. 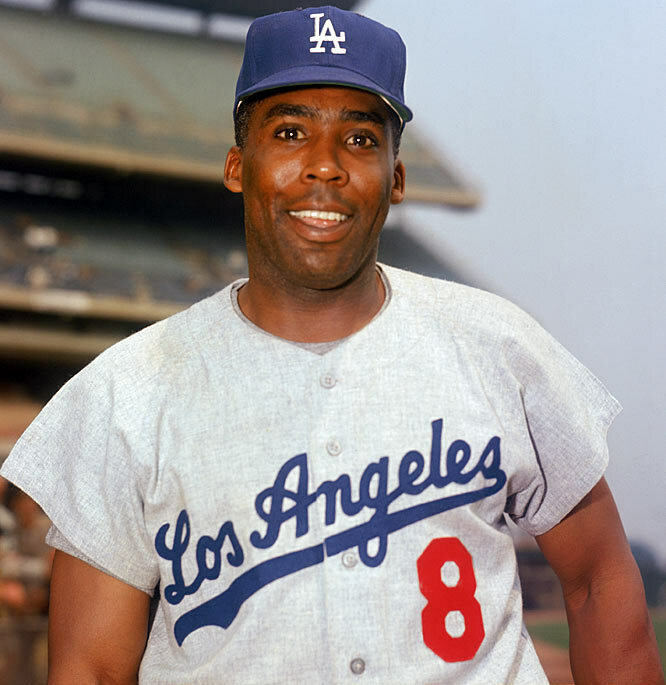 Saunders struck out four while allowing one run. Erick Aybar (2003) went 2-4 with a double and Peter Bourjos (2007) was 1-4 in the Angels 4-2 loss to the Red Sox in 11 innings. Hank Conger (2007) went 0-4, Mark Trumbo (2006-07) was 0-4 and Howard Kendrick (2004) went 0-5 in the loss. Tyler Chatwood (2009) struck out three in six innings of work while allowing two runs in a no-decision. Jordan Walden (2008) worked a scoreless ninth inning in the game. Rich Thompson (2003) struck out three but took the loss allowing a pair of runs in 1 2/3 innings of work. Bobby Jenks (2001) picked up the win with a scoreless tenth inning in the Red Sox 4-2 victory over the Angels. Casey Kotchman (2002) went 0-2 with a run scored in the Rays 9-2 loss to the White Sox. Sean Rodriguez (2004-05) was 0-1 as a pinch hitter in the loss. Alexi Casilla (2004-05) went 1-4 with a run scored in the Twins 3-1 win over the Orioles. Sean O’Sullivan (2007) struck out six in six innings of work while allowing two runs in the Royals 3-2 win over the Indians. David Herndon (2007) earned with first hold of the season with 2/3 of an inning of scoreless relief in the Phillies 3-0 win over the Padres. Howard Kendrick (2004) hit his American League leading sixth HR of the season as the Angels defeated the Rangers 4-1. Kendrick finished the game 1-2 with a pair of walks. Jeff Mathis (2002) went 1-2 with a double, a RBI and scored a run and Peter Bourjos (2007) was 1-3 with a triple, a walk and scored a run. Alberto Callaspo (2003) went 0-5, Mark Trumbo (2006-07) was 0-3 and Erick Aybar (2003) went 0-4 in his return from the DL. Mike Napoli (2001-02) went 1-3 in the Rangers 4-1 loss to the Angels. Darren O’Day (2006) struck out two while allowing one run in an inning of work in the loss. Bobby Jenks (2001) struck out two and allowed one run in 2/3 of an inning of work in the Red Sox 5-3 win over Oakland. Casey Kotchman (2002) went 2-4 with a double a RBI and scored a run as the Rays defeated the White Sox 4-1. Sean Rodriguez (2004-05) entered the game as a defensive replacement. Joel Peralta (2001-02) struck out one in a scoreless eighth inning for his second hold of the season. Alexi Casilla (2004-05) entered the Twins 5-4 loss to the Orioles as a pinch runner. Mark Trumbo (2006-06) went 2-4 and hit his second HR of the season as the Angels finished off a sweep of the White Sox with a 4-2 win. Howard Kendrick (2004) was 1-3 with a walk, Alberto Callaspo (2003) went 1-4 with a RBI, Peter Bourjos (2007) was 1-4 and Jeff Mathis went 0-3 with a walk in the win. Jordan Walden (2008) struck out one in a scoreless ninth to earn his third save of the season. Bobby Jenks (2001) struck out the only batter he faced to close out the eighth inning of the Red Sox 7-1 win over the Blue Jays. Mike Napoli (2001-02) went 0-3 with a walk in the Rangers 6-5 loss to the Yankees. Alexi Casilla (2004-05) was 0-5 in the Twins 4-2 win over the Rays. Sean Rodriguez (2004-05) went 1-4 with a RBI triple in the Rays 4-2 loss to the Twins. Alberto Callaspo (2003) went 3-4 and scored a run as the Angels battled through a rain delay and defeated the White Sox 4-3. 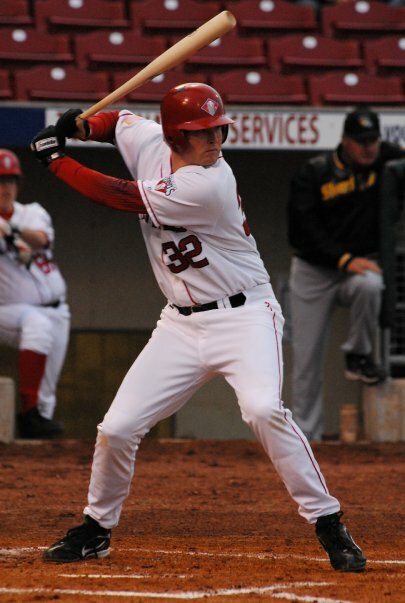 Mark Trumbo (2006-07) was 2-4 with a double, a RBI and scored a run. Peter Bourjos (2007) went 1-3 with a walk, Hank Conger (2007) was 0-3 with a RBI and scored a run and Howard Kendrick (2004) went 0-5 in the win. Jordan Walden (2008) struck out one in a scoreless ninth inning for his second save of the season in the Angels win. Bobby Jenks (2001) took the loss as the Red Sox fell 7-6 to the Blue Jays. Jenks allowed four runs in 1/3 of an inning of work. Sean Rodriguez (2004-05) went 0-3 with a walk in the Rays 5-2 win over the Twins. Casey Kotchman (2002) was 0-1 at the plate as a late inning replacement for the Rays. Joel Peralta (2001-02) worked a scoreless eighth inning in the win.